Marilyn Monroe- this image is just plain iconic! Reese Witherspoon's Elle Woods- I'd never say go head to toe pink, but this look is unforgettable! Check out more on Marie Claire's list for the rest. Are there any other iconic looks you think of from the movies? Definitely some iconic looks. The Clueless one resonates because I remember being 12 or 13 and desperately wanting to be Cher Horowitz. I so want to watch Clueless now! :) Haven't seen it in forever! WOW! Great post. 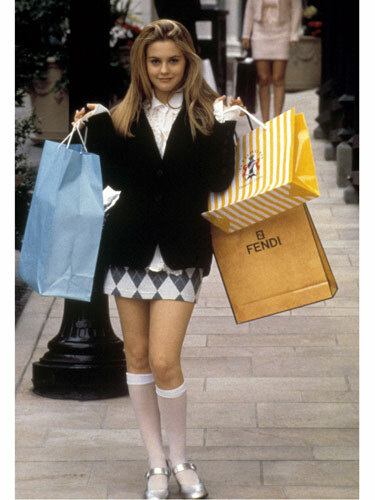 My faves are Penny Lane and Clueless. 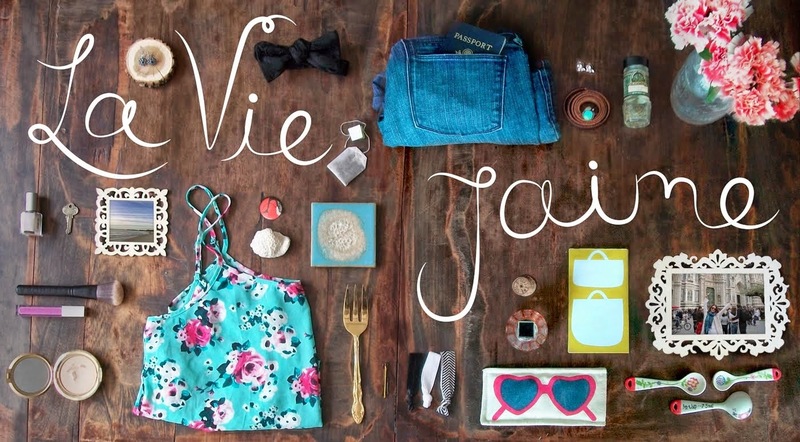 So inspired... Bohemian looks...YAY! Definitely. The Givenchy LBD will still be talked about in 50 years! 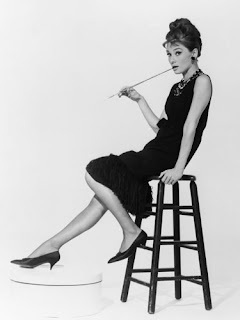 I dress similar to Audrey Hepburn sometimes...hard not to when pointy flats and skinny pants are so popular right now. My coworker always makes fun of me. She hates pointy shoes. I tell her "she wasn't a style icon for nothing!" I see that you're based in Boston. I might be moving there at the end of the month! Great post! I LOVE Cher in Clueless. Definitely one of my all time favorite movies. So great, I love round ups of this kind of stuff...thanks for bringing this to my attention. Can't pick a fave, really love them all! Oh, good call on Kate Hudson/Penny Lane. Penny Lane definitely needs to be on that list!! 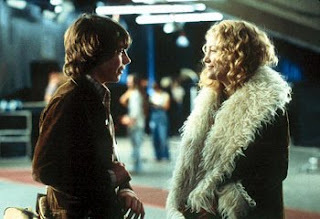 after watching almost famous, i became OBSESSED with penny lane's style. even wanted her wild crazy hair. maybe an outfit from the devil wears prada:-?? I saw this article too and loved it! I am all about Kate's hippy chic! I agree with your list of looks they forgot. Especially the SJP ones! Um that white dress was AH.MAZING! Holly Golightly and Annie Hall...SO freaking iconic! And of course Carrie Bradshaw is my greatest style love! love this! definitely holly golightly. i'm trying to think of others but i can't right now. good choices! I love Diane Keaton's classic menswear look! Great post! I totally agree with your top picks. All of them are so iconic. Great inspiration for fashion now and looking forward. as soon as i saw this i thought "they've gotta have something from gone with the wind" haha although they incorrectly labeled which dress it was! haha. love that movie. I love this list! I agree with most of it, but I'm with you, where is Penny Lane? Carrie Bradshaw I can sorta see, because the movies weren't as big as the TV show, but Penny Lane needs to be on the list! 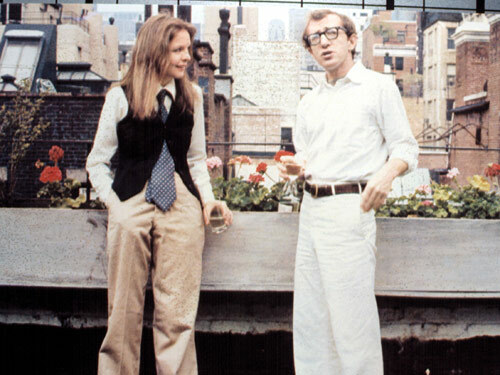 And Annie Hall is one of my favorite movies EVER! This post reminded me that I need to watch it again, it's been too long! Reese as Elle woods is my absolute favorite iconic look! Def agree with your additions. LOVE this list. I love their picks, but I can't believe they left Carrie Bradshaw off the list! still today my favorite in miss golightly... she was the ultimate fashion icon! great list! i love all of them. The clueless reference brought back a fresh wave of nostalgia. lol.